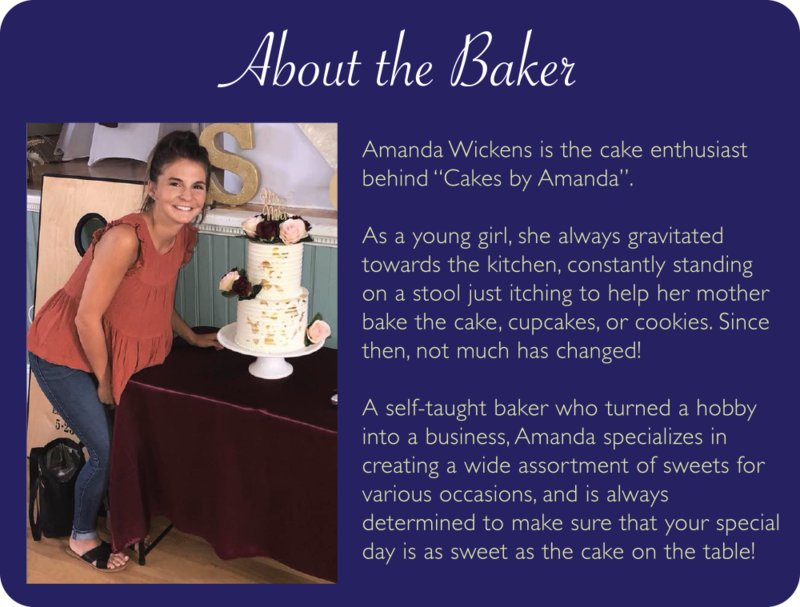 Tyngsboro Sports Center proudly offers the delicious creations of Cakes by Amanda! Our Standard cake options give you one less thing to worry about when preparing for your child's birthday. Choose from the following flavor and design combinations, and your cake will be hand delivered to your Birthday Room at the Sports Center on the day of your party! To view some of Amanda's past custom projects for inspiration, feel free to visit her Facebook or Instagram pages below!